Welcome to a brand new day. Hope you're all having a good day. It is now afternoon in my part of the country, India. As usual we are panicking and drowning in this unbearably hot and humid weather. Hope you are all staying safe. She is here to chat about her new novel, No Ordinary Life and about her life beyond books and all. So keep reading! Me: Hello and welcome to my blog, Suzanne. 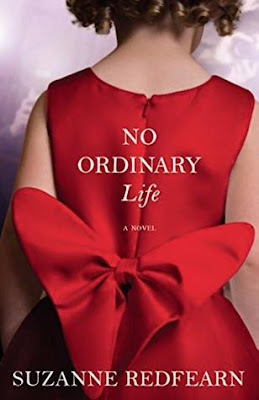 Congratulations on your new book, No Ordinary Life. How will you express your feelings about this book that has already won the hearts of so many readers? Suzanne: Thank you for including me. Writing this story was a remarkable journey. It was fascinating to delve into the world of Hollywood and what goes on behind the glitz and glamour, and it was wonderful to have readers respond to the story the way they did. Me: How did you research for your book that is based on child stars in Hollywood? Can you tell us briefly about it? Suzanne: I tried to approach it with an open mind, with no preconceptions. I started by reading every autobiography and biography I could find on past child stars. I also did research on celebrity and how fame affects people and the people around them. Two stories particularly inspired me. The first was by Melissa Francis, who played the youngest child on Little House on the Prairie. What struck me about her autobiography was that it was not as much about her as about how her success impacted her family, particularly her older sister, who died tragically young from drug-related heart failure. The second story that inspired me was by Justin Bieber's mom, Pattie Mallette. She was a young, single mom struggling to get by, and Justin Bieber was discovered through a YouTube video. I liked the idea of the protagonist not being your typical stage mom, but instead to accidentally find herself caught up in the world of fame. Me: Tell us one trait about your main character, Faye, that intrigues you the most. Suzanne: I love her transformation. Through the story she discovers her "mama bear" instinct and really changes. She is a good person and she loves her kids. She makes mistakes, but her heart is always in the right place. I really liked her, and though there were times she infuriated me because she was too trusting or too naive, her decisions came from an unselfish place and I was always rooting for her. Suzanne: Amazing. This is the best job in the world. I wake up each day and tell stories. Ideas that start as nothing more than a spark of inspiration turn into characters and plot lines then eventually a book that then ends up in readers’ hands, then they join me on the journey. It is truly remarkable. Suzanne: No. I never even considered it. I always thought I needed a "real" job. I was an architect before I became an author, and writing my first novel was a bucket-list endeavor. I wanted to see if I could do it. Then after I did it, I was hooked. Suzanne: I am a dabbler. I do a little bit of everything. I like art. I surf. I golf. I am a fan of baseball. I ski. I like to garden. I waste time on Sudoku. I hang out with my dog, my kids, my friends. 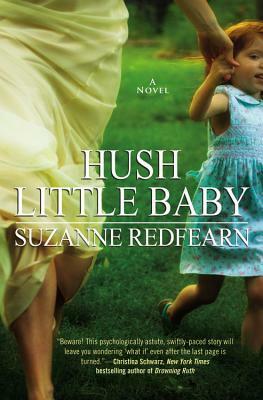 Suzanne: I just finished a manuscript about two moms who flee their suburban lives and find themselves on the run from their husbands and the law. It is a road trip novel, similar to Thelma and Louise but with kids. It was a blast to write, a wild ride that just kept getting wilder and wilder as it goes. Me: Thanks Suzanne for joining me today on this interview session. I wish you luck for all your future endeavors. Suzanne: Thank you again for inviting me. Born and raised on the east coast, Suzanne moved to California when she was fifteen. She currently lives in Laguna Beach with her husband, their two kids, a Cockapoo named Cooper, and a cat named Martha. They own a restaurant in town called Lumberyard, (LBLumberyard.com). 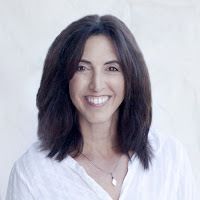 Prior to becoming an author, Suzanne was an architect specializing in residential and commercial design.